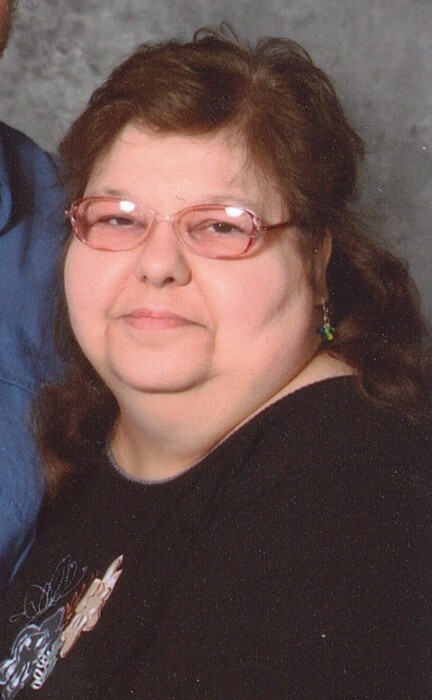 CAMBRIDGE CITY- Gail Earlene Haler, 63, passed away unexpectedly Monday morning January 21, 2019 at Reid Health in Richmond, Indiana. A daughter of the late Herbert Lynn and Earlene Esther (Lemmons) Ervin, Gail was born in New Castle, Indiana on June 15, 1955. Gail lived her entire life in the Cambridge City community and graduated from Lincoln High School. She also earned a degree in Medical Coding from Ivy Tech. Gail was a member of The River Assembly of God Church and looked forward to spending time with her family. In her leisure, Gail enjoyed sewing, doing her nails and playing Facebook games. Gail retired from the State of Indiana where she worked at the Richmond State Hospital until its closing and finished up her career at the Knightstown Children’s Home. Survivors include her husband of 30 years, Robert A. Haler. They were married at Dublin Missionary Baptist Church on November 12, 1988 by Rev. Carl Stewart. 2 daughters, Melinda D. (Jeremy) McCracken of Cambridge City and Bobbie L. (Paul) Smith of Richmond; 8 grandchildren, Trisha L. Seward of Connersville, Robert T. Seward of Cambridge City, Sabrina M. Haler of Illinois, Austin Webb of Richmond, Trenton C. Ripberger of Straughn, Timothy J. Harker of Kentucky, Trevor Coleman of Cambridge City, Maverick T. Parker of Cambridge City; 2 great grandchildren; 2 brothers, Edward E. (Lora) Ervin of Pershing and Thomas Ervin of Straughn; 5 nephews. Gail was preceded in death by an infant son, Brian D. Garrian; son Timothy E. Harker; sister, Patricia A. Neel. Visitation will be from 2-6 p.m. on Friday January 25, 2019 at Marshall & Erlewein Funeral Home, Dublin. Cremation will follow.